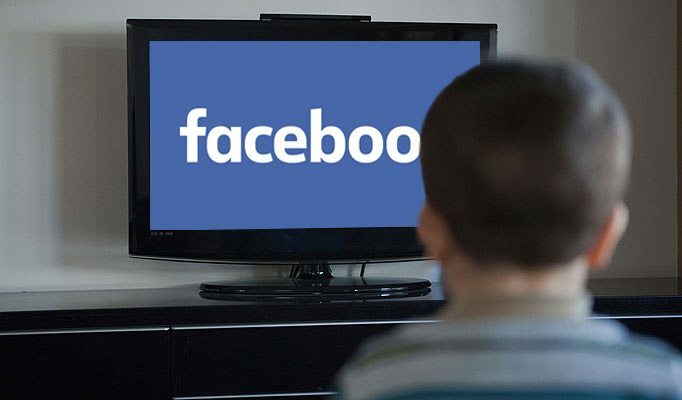 Facebook is reportedly developing a new controversial software which allows it to secretly trigger users’ smartphones to start recording audio whenever it hears an inaudible message hidden in specific television adverts. 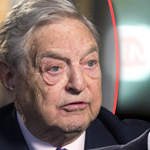 Despite the revelations, the Social Media giant has always denied 'conspiracy theories' that it listens to people’s private conversations and analyses what they talk about in order to sell the data to advertising companies. 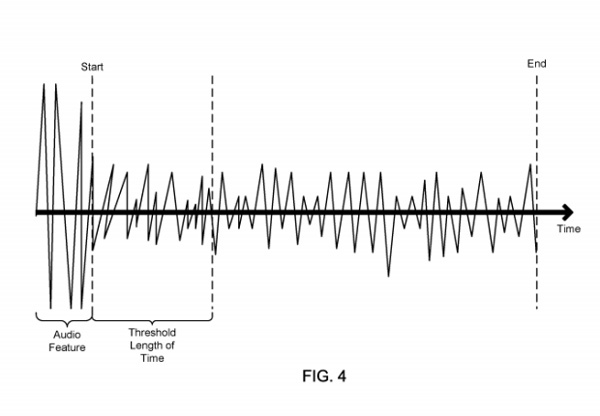 In a patent application published on June 14 this year, Facebook's research department unveiled a system which triggers peoples mobiles phones to capture ‘ambient audio’. This allows Facebook to conceal ‘a non-human hearable digital sound’ within the TV adverts audio. What's more is that people will not be able to hear the sound as it contains a ‘machine recognizable’ set of Morse code-style sounds which enable it to tap out a message to your smartphone and trigger it to record. This illustration shows how televisions will secretly send messages to software in people’s smartphones. The Metro reports: The secret sound could be a very high-pitched voice, Facebook wrote, pitched just above the limit of human hearing. Mark Zuckerberg’s social network has designed a tool which really will let it monitor people in their own homes. When it hears this signal, a phone will then start capturing ambient audio, which Facebook describes as the ‘distinct and subtle sounds of a particular location created by the environment of the location, such as machinery noise, the sound of distant human movement and speech, creaks from thermal contraction, and air conditioning and plumbing noises in a household’. 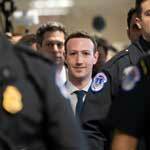 Now, you might think this sounds like an Orwellian nightmare technology which will let Big Zucker intrude upon our lives in unprecedentedly terrifying ways. Heatwave now poses a risk to people's lives with no end in sight to hot weather But Facebook designed it with a specific purpose in mind. The tech is built to monitor what people watch on their ‘broadcasting device’ so that the adverts they are shown on Facebook are likely to appeal to them. This would also allow companies to get an accurate sense of the size of the audience which has viewed their promotion. Smartphones listen out for signals hidden in adverts or other content which are too high-pitched for humans to hear. Once they hear this signal, the phone begins recording ‘ambient audio’ including the sound of the advert which contains the code. This is then analyzed to generate an ‘ambient audio footprint’ which is stored on an ‘online system’ along with identify information about the person who owns the phone. The data is then used to work out whether someone watched an ad or engaged with the content. 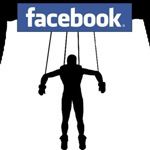 This info is stored to make sure Facebook shows it users adverts they are likely to engage with. This illustration shows a sound wave hiding an inaudible high-pitched message which can be seen on the left. 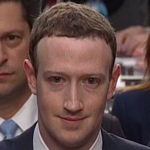 Facebook is working on a camera-equipped ‘spy robot’ and it’s terrifying By recording the secret message is hidden in the television ad, it allowers advertisers to know whether people sat through their creations – or walked away and did something else. If a recording of the hidden code is muffled or distant, it would indicate users are far away from the telly. Whilst a loud, clear signal would suggest they were firmly couch-bound and tuned in. This data about what sort of ads people like is then stored so Facebook can show them content in future that’s perfectly honed to grab their attention. That’s what Facebook says in its patent, anyway. There is no mention of spying on our private life, invading our privacy, recording our intimate conversations and forcing advertising into the heart of our homes whatsoever. 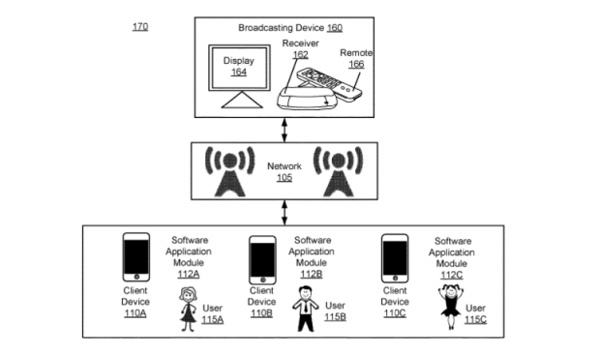 The patent application is called ‘broadcast content view analysis based on ambient audio recording’.